Despite its eerie name, Bethany’s Sin is a pleasant place. After a life of grim poverty, this new community seems like heaven to Evan Reid and his family. With its quaint shops, manicured lawns, and fresh summer smell, the town charms the Vietnam veteran, his wife, and their daughter like nowhere else they have ever been. But beneath that cheerful façade lurks something deadly. As soon as they enter their new house, Evan is consumed by fear. He can’t place its source, but there is something about the town’s mayor, Kathryn Drago, which makes him uneasy. By day she is a harmless retired archaeologist. But at night she leads an Amazonian cult whose next ritual calls for a secret ingredient: the blood of Evan Reid. McCammon has to be one of the least known and appreciated authors in his field. His prose is terrific and the supernatural elements of his stories always interesting. The ending was somewhat sad but a good tale nonetheless. I've now read everything that McCammon has written and that is sad. I loved this book. 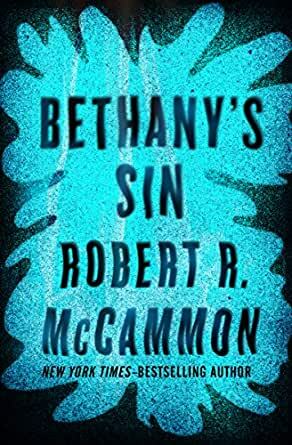 Robert McCammon is a great writer and this offers the same exciting ride as I've come to hope for with his books! McCammon is a great great author. Great price; fast delivery; thank you. Just when you wanted Speaks The Nightbird (Vol 1) and (Vol 2)to continue, along came this great continuation with Bethany's Sin. Mc Cammon keeps you suprised at every juncture, and entertained page after page. You definitly have to read Vol 1 & 2 before this book to understand this brilliant character McCammon has created. Read these books; they are a wonderfully written.